New Delhi, April 28: Oxytocin, a peptide hormone, and neuropeptide, has been banned for importing and its formulations. And also its manufacture has been restricted for domestic use to public sector only. This decision has been taken by The Ministry of Health and Family Welfare. The High Court of Himachal Pradesh, Shimla, had, in its judgment dated 15.3.2016 in CWPIL No. 16 of 2014 titled ‘Court on its own motion’ versus State of Himachal Pradesh and others, observed that there is large scale clandestine manufacture and sale of the drug Oxytocin leading to its grave misuse, which is harmful to animals and humans. Amongst others, it had also observed that the feasibility of restricting the manufacture of Oxytocin only in public sector companies should be considered. The matter was considered by the Drugs Technical Advisory Board, a statutory body constituted under the Drugs and Cosmetics Act, 1940. The Board recommended that Oxytocin formulations for human use be regulated and restricted to be supplied only to registered hospitals and clinics in public and private sector to prevent its misuse. The Central Government, on the basis of the recommendations of the Board and after examination of the matter, was satisfied that unregulated and illegal use of Oxytocin is likely to involve risk to human beings or animals and that in the public interest it is necessary and expedient to regulate and restrict its manufacture, sale and distribution to prevent its misuse by unauthorised persons or otherwise. The manufacture of Oxytocin formulations for domestic use shall be by public sector undertakings or companies only and the label of the product shall bear barcodes. The manufacture of Oxytocin formulations for export purposes shall, however, be open to both public and private sector. The packs of such manufacture for exports shall also bear barcodes. The manufacturers of active pharmaceutical ingredient (API) of Oxytocin shall supply the API only to the public sector manufacturers for the manufacture of formulations for domestic use. However, for the manufacture of formulations for export purpose, the API will be supplied to the manufacturers in both public and private sector. The Oxytocin formulations meant for domestic consumption will be supplied by the manufacturers to the registered hospitals and clinics in public and private sector directly. 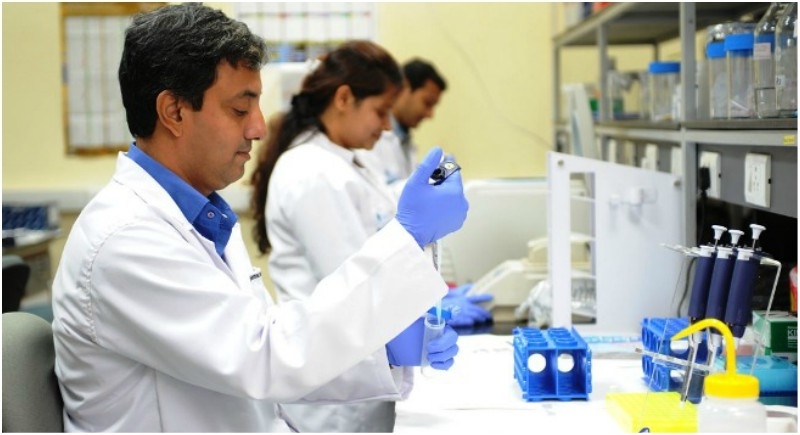 The manufacturers can also supply the formulations to the Pradhan Mantri Bhartiya Janaushadhi Pariyojana(PMBJP) and Affordable Medicines and Reliable Implants for Treatment (AMRIT) outlets or any other Government entity which may be specified by the Central Government for this purpose. However, these outlets will further supply the drug to the registered hospitals and clinics in public and private sector. Oxytocin in any form or name will not be allowed to be sold through retail Chemist. The regulations with regard manufacture of Oxytocin for domestic use will come into force on 1st July 2018. However, the ban on import takes immediate effect.